Online Shopping with HDFC Bank is very rewarding. Compiled below are all Discount Coupons, Promo Codes & Cashback Offers off major Shopping Portals Listed down Alphabetically ! You may be looking out for Mobile or DTH Recharge Offers, Or wanting to Book online Bus, or Flight Ticket One Way or Return or for that matter even Book Domestic or International Hotels.Get best discounts on Electronic purchases and save tons of Money on Home & Furniture shopping online. Get upto Rs 1000 off on flight bookings through AkbarTravels using HDFC Bank Debit and Credit cards. 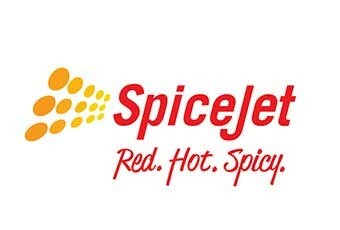 Get Rs 500 off on Domestic flight bookings at Akbartravels.com. Under the HDFC Bank AkbarTravels Offer Get Rs 1000 off on International flight bookings. Offer validity : 11th Apr – 31st July’2019. OFFER 1 : Get up to Rs 500 instant discount on transactions at Ajio.com online using HDFC Bank Debit and Credit cards. Offer cannot be clubbed with any ongoing offer. OFFER 2 : Get up to Rs 1000 off on minimum purchase of Rs 2190 at Ajio, using HDFC Bank Credit Cards. Use Promo Code to avail the promotional offer. OFFER 1 : Get Flat Rs 500 CashBack on Flights, Hotel & Local Activities worth Rs.5,000 or more, booked on Cleartrip Android App with PayZapp. Max cashback Rs 500 valid once per user per month. Offer valid from 17th Apr’19 21:00 hrs to 30th Jun’19 23:59 hrs. Cashback would be posted within 30 working days after the date of transaction in PayZapp wallet. Any linked card or PayZapp card can be used for the transaction. Only Min KYC and full KYC can avail the cashback. OFFER 2 : Grab upto Rs.3,500 instant cashback on Flights & Hotels with HDFC Bank Credit Cards on any day of the week! Simply enter coupon code before making payment using HDFC Bank Credit Card. Valid for transactions made from 05 April 2019 onwards. 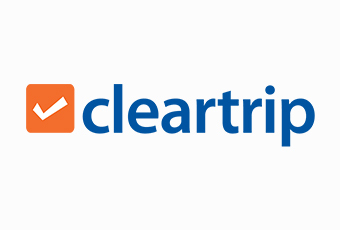 Save more with other Cleartrip Discount Coupons & Cashback Offers. Valid on HDFC Bank Debit and Credit cards. Also applicable on EMI transactions. Terms and conditions apply to avail the Easemytrip HDFC Bank Offer. Domestic Flight Offer 1 :Get upto Rs 1000 off on Domestic Flights. Valid on HDFC Bank Credit cards. Get Upto Rs 700 off on Domestic Flights, booked on EaseMyTrip, using HDFC Bank Debit and Credit Cards. 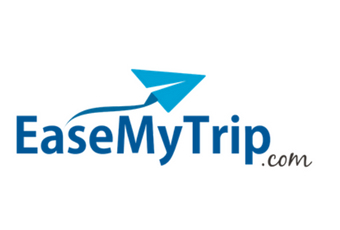 Save more with other Easemytrip Discount Coupons & Cashback Offers. • To avail EMI option, your HDFC Bank Credit card has to be routed through HDFC Bank Payment Gateway. Terms and Conditions apply to avail Flipkart HDFC Bank Offer. Get Flat 20% off on purchase of Rs 999 or more at Ferns n Petals using HDFC Bank Debit and Credit Cards. Offer Validity : 29th Jan – 30th June’2019. Ferns n Petals HDFC Bank Offer is applicable on a minimum spend of Rs 999. Cannot be clubbed with existing offers. Not applicable on discounted products. Terms and Conditions apply to avail Fernsandpetals HDFC Bank Offer. Terms and Conditions apply to avail Goibibo HDFC Bank Offer. Terms and Conditions apply to avail Makemytrip HDFC Bank Offer. OFFER 2 : Flat INR 200 instant discount on minimum purchase of INR 1000. Get 20% off on a min spend of Rs.5000 upto a max discount of Rs. 1500 (per transaction) using HDFC Debit and Credit Card. Go to www.mylescars.com and make a booking after selecting City, date, time and car model. Login with your mobile number and email ID. Put in the coupon code to redeem the offer. Make the final payment using HDFC debit and credit card. Mylescars HDFC Bank Offer is valid on all cars, across all cities, on all days. Valid for all users – new and repeat. Terms and Conditions apply to avail Mylescars HDFC Bank Offer . Save more with other Mylescars Discount Coupons and Cashback Offers. Use your HDFC Bank Debit and Credit card to enjoy the discount. Offer valid till 31st July 2019. Terms and Conditions apply to avail Myntra HDFC Bank Offer . Get 40% Off upto Rs 400 on a minimum purchase of Rs 999. Insert the Promo Code on the shopping cart page. Save more with other Myntra Discount Coupons and Cashback Offers. Get flat 60% discount on payment via HDFC Bank cards at Oyorooms. Offer applicable only on application of coupon code with HDFC Bank Debit and Credit Card transactions. HDFC Bank Debit and Credit card users to get 60% flat discount on Hotels & Homes bookings only. Terms and Conditions apply to avail OyoRooms HDFC Bank Offer . Save more with other Oyorooms Discount Coupons and Cashback Offers. Shop for furniture Online with Pepperfry. Choose from a wide range of Furniture , Home Decor, Lighting, Furnishings, Kitchen, Dining, Housekeeping, Electrical & all other Household needs. Offer 1: Extra 5% off over & above the website discount. Extra 5% off over & above the Pepperfry website discount. Offer applicable for HDFC Bank Credit & Debit card users. Offer 2: Rs. 1500 Off on the minimum purchase value of 3500. Offer valid on minimum cart value of Rs. 3500. Not applicable on Hot Priced products & “What the Fry” Deals. Offer 3: Rs. 1000 Off on the minimum purchase value of 3999. Offer valid on minimum cart value of Rs. 3999. Offer 4: Rs. 5000 Off on the minimum purchase value of 19999. Pepperfry HDFC Bank Offer valid on minimum cart value of Rs. 19999. Save more with other Pepperfry Discount Coupons and Cashback Offers. Offer 1: Rs.100 off on first orders of Rs.400 and above using below Discount Coupon on First Order only. Offer 2: 20% off on first order using promo Code: Discount capped at Rs.100 – on First Order only. The Offer is valid till 30 April 2019. Save more with other Swiggy Discount Coupons and Cashback Offers. TataCiq Epictronic Sale Offer GEt 10% Instant discount on a minimum purchase of Rs 5000 using your HDFC Bank Credit or Debit card or EMI transactions. Max discount of Rs 1500 can be availed under the TataCliq HDFC Bank Offer. Save more with other Tatacliq Discount Coupons and Cashback Offers. Get Flat 35% off on transactions done at Treebo using HDFC Bank Debit and Credit Cards. Select the dates, room which the customer wants to book. Use HDFC card at the checkout page and the coupon code to avail the offer. Save more with other TreeboHotels Discount Coupons and Cashback Offers. Get Flat 150 off on minimum purchase of Rs 1299 or more at Zivame.com using your HDFC Bank Debit and Credit Cards. Use below discount Coupon Code to avail the Zivame HDFC Bank Offer. Promotional Offer Validity : 29th Jan – 30th June’ 2019. Applicable only once per customer. Discount is over and above existing discounts. Applicable on minimum transaction of Rs 1299. Save more with other Zivame Discount Coupons and Cashback Offers. HDFC Bank Debit Credit Card Offers You Missed . Get Rs.500 off on a purchase of Rs.1495 and above at Abof. Cart level discount cap will be applicable and may vary from time to time. Abof HDFC Bank Offer is valid on all brands except FabIndia, Inc5, W, Biba, Aurelia, UCB. Offer cannot be clubbed with any other ongoing offer on abof.com. Abof Offer is valid till 31 August 2017. Get Rs.1000 off on a purchase of Rs.3000 and above at Abof. Coupon code valid till 31st July,2017. •Booking period is valid till 31st March,2017. Stay period is valid till 31st December 2017. •The discount will be applied to the final sale rate (minus taxes and services). •Agoda HDFC Bank Offer is valid on selected Debit & Credit Cards. 15% off on Airbnb.com (Link:www.airbnb.co.in/stay/hdfcbank) with HDFC Bank Debit,Credit and Forex Cards. Only one discount per user during the promotion period which is 31st October, 2017. It is a one of India’s Largest Online grocery store delivering all your daily Supermarket needs right at your doorstep. Currently Bigbasket services are spread across 30 cities in India like hyderabad, bangalore, delhi, mumbai etc. You can do all your food Shopping Online. 1. Get 15% Discount on transactions done on Big Basket, using HDFC bank Debit, Credit Cards and Payzapp at Bigbasket.com. 2. 15% instant discount on a minimum purchase of Rs.1500. 3. Maximum discount of Rs.300. 4. Offer valid between 16th to 20th of every month 2018. 5. Validity Month: May – July 2018. 6. Valid only on HDFC Bank Credit and Debit Cards. 7. Bigbasket HDFC Bank Offer is not valid on HDFC Bank Net Banking. 8. Offer applicable on Website, App & M-Site. 9. Cannot be clubbed with any other offer. 10. Bigbasket has the right to cancel orders if found to be of fraudulent nature. 11. Offer not valid on products listed under bigbasket Specialty Store. 12. Offer valid once per user during the offer period. Shop for Jewelry Online at Bluestone. Choose from a wide range of Rings, Earrings, Pendants, Bangles, Bracelets, Nosepins Necklaces, & Mangalsutras. Buy Gold & Diamond Jewellery , Whitegold, Goldcoins & more at Bluestone.com. Enjoy additional 6% off above existing discounts on minimum purchase of INR 10,000. Maximum discount is Rs. 450 under the Firstcry HDFC Bank Offer. Discount Coupon is applicable on MRP of Products. Promo code can be used only once and is not applicable with any other coupon. Voucher code is not valid on Diapers, Combos, Bottles & Accessories and Formula & Supplements and brands Charlie Banana, Foscam, Melissa & Doug, Motorola, Figaro, Tupperware, Wanna Party, Bio Oil, BeCool, Alex Daisy, Jane, Chicco, Enfagrow, Xbox, Sony Playstation. Online Gifts for Men , Women & Kids. Send gifts across all India. All occasions Like Valentines Day, Womens Day, Holi, Diwali, Eid, Christmas, Mothers Day , Fathers Day, Friendship Day. Get 10 % Off on orders above Rs. 1099 under the Giftease HDFC Bank Offer. Not valid on gift cards, vouchers, fine jewellery, coins & gift wrapping charges applicable. Offer limited to usage of the code to 3 orders per customer. Eligible orders must be paid for using HDFC Bank Net Banking, credit card & debit card only. Terms and Conditions apply to avail the Giftease HDFC Bank Offer. Save more with other Giftease Offers. Save on your air tickets when you book a round Trip Domestic or International flight at https://www.goair.in/ with your HDFC Bank Debit Or Credit Card. It is a Indian online and on-air shopping channel. What distinguishes this site from the rest is its presence both Online and on Television both. This is a big hit especially for housewives who do not shop online and prefer to order via phone and choose Cash on Delivery as a mode of Option at Homeshop18. Fashion in India is almost synonymous with Jabong ! Shop for Shoes, Clothings, Bags, Watches, Sunglasses, Belts, Jewellery In India. Qualified Customer has to transact using his/her HDFC Bank Credit Card, Debit Card & Credit Card EMI on the website www.jabong.com or Jabong Mobile App. Minimum transaction value to qualify for the cash back would be INR 2,499/-. Cash back will be posted to customer’s accounts within 60 days of end of the offer period. Get 10% discount on all prescription medicines and more. Get up to 5% discount on general and OTC products. 1. Register as a MedPlus customer online. Minimum purchase value to qualify is Rs.200/-. Registration as MedPlus customer is required to avail the offer. Offer is applicable at all MedPlus stores for offline purchases only. Offer valid from 15 February 2017 to 14 February 2018. Book Domestic/International Flights Online via for your travel either one way or return trip and use discount Coupon to save on your travelling expenses. Hotels & Holiday Bookings can also be done at ease and is very convenient. Domestic Flights: Rs 1000 Instant Discount on between 3PM-10PM Every Tuesday on Musafir website & Mobile App with HDFC Bank Debit & Credit Cards! Offer is applicable for purchases made on in.puma.com. Holders of a valid Visa card (debit or credit) issued in India are eligible to get an additional discount of 10% on making payment with Visa Debit or Credit card. The discount will be an instant discount and will show at the time of making the payment. Get Rs 300 off on minimum purchase of Rs 1500. Flat 12% off on a minimum purchase of Rs 1000. The offer is available only for customers availing the services on Smart Buy. The minimum purchase amount on www.shopclues.com or Shopclues Mobile App should be Rs. 1000 to avail the offer. The maximum discount that can be availed per order is Rs. 500. The offer is valid till 30th Sept 2017. The offer is not applicable on storage devices, memory cards, gift cards, gold coins and bars and precious jewellery. Get 10% off on a minimum purchase of Rs 1500. No two offers can be available simultaneously at Shoppersstop. It is India’s Fastest Online Shopping Destination where you can Shop Online for Electronics like Mobiles, Laptops, Tablets Computers & more. Snapdeal brings you Fashion for Men , Women & Kids, Toys & Beauty Products, Health & Daily Needs Sports, Fitness & Outdoor Motors & Accessories ,Real Estate & Financial Serv. Books, Media & Music. 10% instant discount using HDFC Bank Debit & Credit Cards. Get 5x reward points Using your HDFC Bank Credit Cards on Snapdeal. Offer valid on the transactions done on the Snapdeal Mobile Application and the website https://www.snapdeal.com during the offer period. There is no restriction on the maximum number of transactions but the maximum discount available per transaction per week is capped at Rs.1,000. Offer Duration :Offer is applicable Every Friday from 11th May’18 to 29th March’19. Discount will be calculated on the net paid amount by the customer. The offer is also valid on the EMI purchases made through HDFC Bank Credit Card. Enjoy Up to Rs 1000 off and Free Priority Check-in on flights bookings with HDFC Bank Credit Cards. Offer Valid on from 11th Jan to 30 Sep, 2018. Use the code to get Rs 500 off on One Way Flight booking. Get Rs 1000 off on booking Round trip Flight booking using the code. If you want to buy Jewellery Online that Suratdiamonds is one such place you should not miss.Get Earrings, Finger Rings, Pendants, Necklaces, Bangles, Gemstones, Gold & Diamond Jewellery. Shop Online for Clothes, Shoes , watches at the best prices at Trendybharat. Get Offers on Electronics, Arts & Crafts, Automobile Parts, Home & Kitchen, Health & Fitness, Books , Sports & more. Enjoy 20% off (capped at Rs.200) for all services. 20% off (capped at Rs.200) for all services. Applicable only for online payment through Urbanclap app. Offer applicable once per unique Cardmember. The code will be one time per user. The user can choose to avail discount on any one of the services. Valid on payments made via HDFC Bank Visa Cards. Yatra is one of the leaders amongst the online travel portals offering you Domestic & International Flights, Hotels & Holidays, Bus Booking Offers , Adventure trips all in one place. Get Rs 500 Discount on minimum booking amount of Rs 3,000 on Domestic Flights at Yatra. Get Rs 2,000 Discount on minimum booking amount of Rs 30,000 on International Flights. The offer is applicable on bookings made with Visa cards only. The offer is limited to two transactions per month per Visa card during the offer period. Enter the promo code before making the payment with your Visa card on the payment page to avail instant discount. The offer is valid till July 31, 2017. Get up to Rs.1,000 off on Domestic Flight bookings made through HDFC Bank Credit Cards. This offer is for bookings made on 30th September , 2017. Use below promocode to avail the discount.